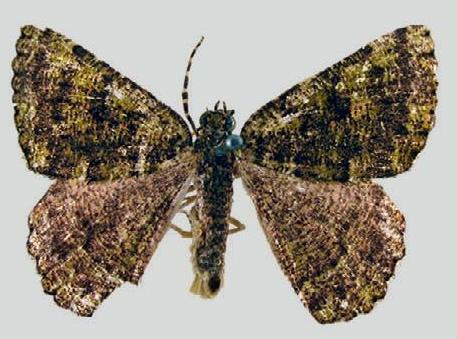 The adult moths of this species have forewings that are greenish brown with many black splodges. 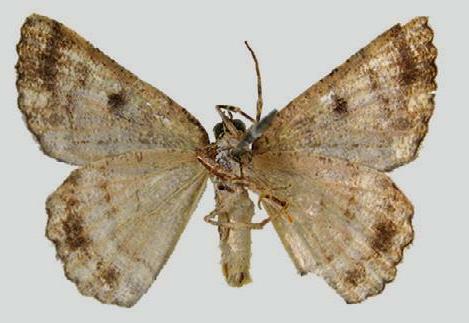 The hindwings are similar, shading to brown along the costas. The wingspan is about 3 cms. Volume 5, Part 1 (2012), pp. 79-100, Figs. 34 a,b. Volume 12, Part 1 (1941), pp. 47-48.